If the entry plan required the spacecraft to skip out of the atmosphere for a period, perhaps to extend the flight path as happened on Apollo 11, the computer moved on to P65 which controlled the ascending part of the skip-out trajectory. 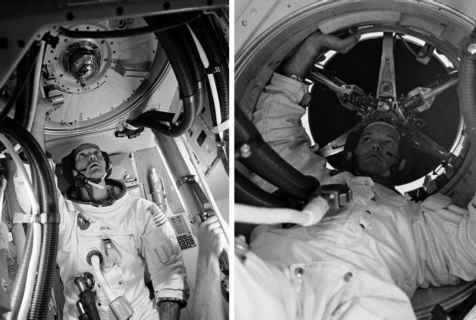 P66 then controlled their attitude during the period the spacecraft was outside the atmosphere. On the second re-entry, control was passed to P67. In most cases however, re-entry did not include a skip-out phase so P64 handed directly to P67.